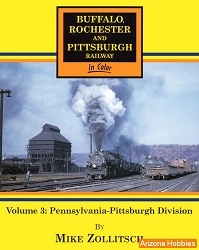 A stunning collection of B&O photography on the Buffalo, Rochester & Pittsburgh through the steam-to-diesel transition years and up to Chessie System. 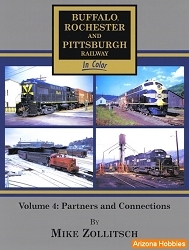 Rare steam images of freights and passenger trains going back to World War II and early diesels frequent this conclusion to the five-volume series. 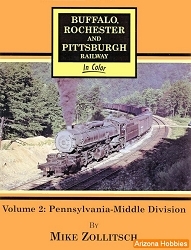 Morning Sun Books, hardcover with jacket, 128 pages, 11 x 8.5 x .5 in., all Color photographs with captions.